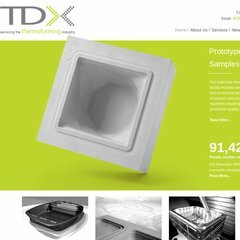 Topics: Prototype & Samples, Tool Manufacture, On Demand Trade Thermoforming, Address / Directions, and Current Vacancies. The site is programmed for ASP.NET. ns59.1and1.co.uk, and ns60.1and1.co.uk are its DNS Nameservers. It is hosted by 1 1 Internet Ag (Baden-wurttemberg, Karlsruhe,) using Microsoft-IIS/7 web server. PING www. (212.227.192.153) 56(84) bytes of data.